Hy-Lok's Toggle Valves are designed for quick acting and positive on-off control of media in moderate pressure and temperature applications. 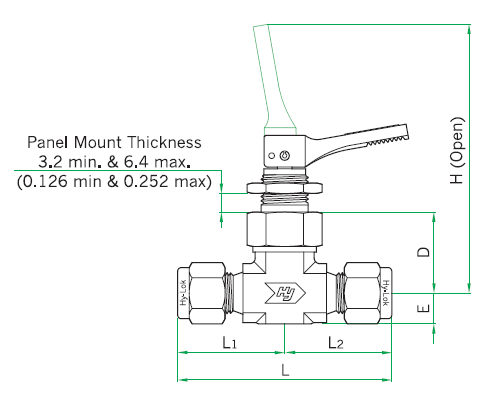 Choice of Hy-Lok tube fitting, female NPT and male NPT end connections. Orifice Range - from 0.080 to 0.250 in. (2.0 to 6.4 mm).